If you haven't noticed, then let me point out that I have made just a few (ok probably a thousand) rag quilts in the last few years. A pair of scissors with a short blade is a must. You can try to cut the blanket with your regular sewing scissors but you will not be able to cut all the layers at once and you will have more holes in your blanket from cutting the seams. The seams are not to hard to fix, but who wants to resew what they already sewed once. Your hands will be sore, but you can do it. If you are only going to make one rag quilt in your entire life, don't go spend extra money on nice rag quilt scissors because it will be a waste of money. This pair of scissors my sister in law uses and she loves them (I also have a pair). She does several rag quilts each year. They are made by Fiskars and are spring loaded so that your hand does not get as fatigued. The nice thing about these scissors is you still have a place for your fingers to go so the scissors do no slide along the handle very much. These scissors run about $15.00 but can be found at Joanns and other fabric stores. So make sure if they are not on sale to print off a coupon so you can get the best price possible. My thoughts on these scissors are that they will cut through a lot of layers of fabric. If you are doing a levi quilt then they will be perfect. The only problem I have with these scissors are that they are a little long. When I am clipping I am constantly pinching my stomach with the end of the scissors. These next scissors are the scissors that I use regularly. I am very biased because I am in love with them. They are made by Heritage. These babies will cut through 7-8 layers of fabric at a time. They never make my hand fatigued. I am in love with them. They work like a charm. I do have one thing that I don't like about them (isn't there always something :) My hand slides up and down the handle as I am cutting. It does not hinder my cutting, just annoying. What a wonderful tutorial! Thank you soooooooooo much. Looking forward to seeing you at Creative Jewish Mom next week. I too use the last pair of scissors for my rag quilts...you can't beat them, worth every penny!! Hi Bobbie, Now you have me wanting to make a rag quilt! Thanks for linking up to Craft Schooling Sunday, and hope to see you again this week! Great tip.. I tried my hand at a 'rag quilt xmas tree skirt" this past year and I could have used a good pair of sissors! I love your blog! Your rag quilts are stunning and very inspiring! I have made several small rag quilts and used my Farberware kitchen shears to clip them. The handles are covered with rubber so my hands didn't ache. It also seemed easier to guide them and not cut too far. This is a great tip! I've never made a rag quilt, but hope to one day! 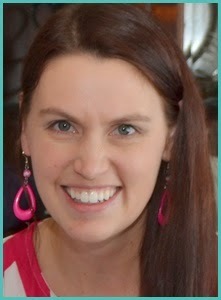 Thanks for linking this up to somedaycrafts.blogspot.com for Whatever Goes Wednesday! Thank you for sharing your awesome tip at Thursday’s Treasures last week! Come share your crafty projects in this week’s Thursday’s Treasures too! Where can I find the last pair of scissors? I have not seen them at Joann's before. How much are they? 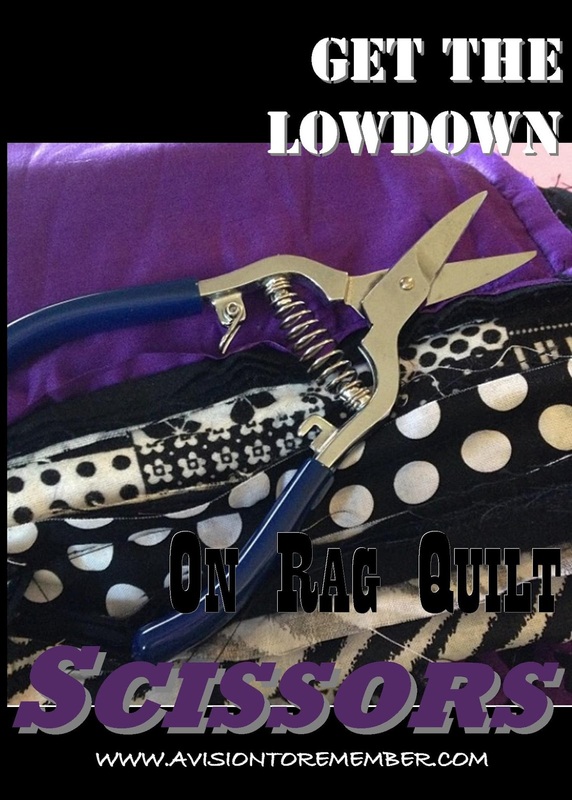 I am sure our many readers will appreciate your help in choosing Rag Quilt scissors.